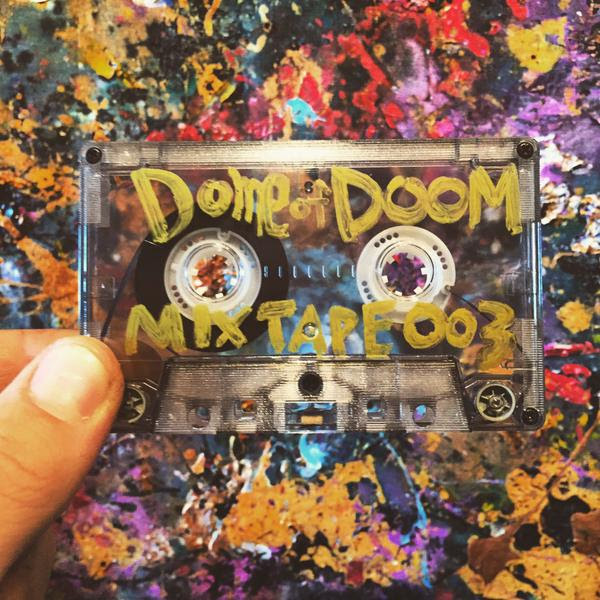 Los Angeles tape label Dome of Doom has gathered the creators once again for its third edition to the collective mixtape. Mixtape_003 enters on a somber note as Dream Panther provides the backdrop to Deniro Farrar’s tragic tales of street life. It’s a heavy entry that’s alleviated with each passing contribution to the mix as beat technicians like Eraseface, ELOS, and Linafornia find the head nod factor. The Los Angeles production pool sees the dawn of new species every year, each with hints of its predecessor, but always with a mutation in the genome. Listening to the Dome of Doom tape is microscope to the sample of the sprouting generation that will carry the torch for years to come.